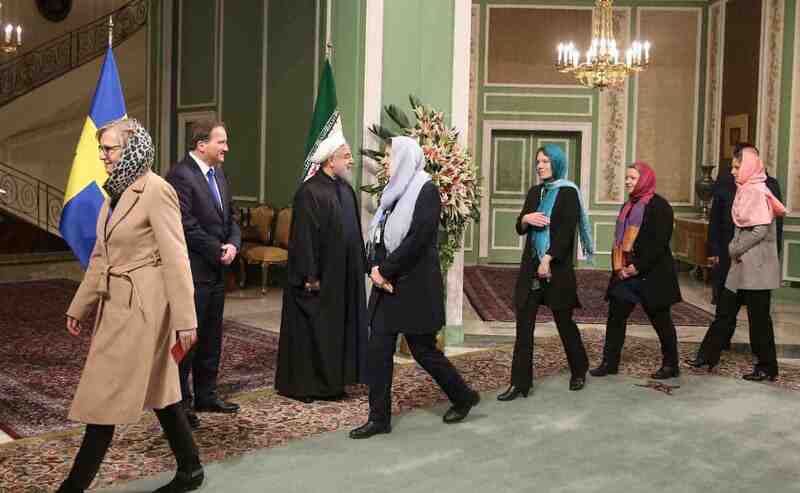 In doing so, Sweden’s female leaders ignored the appeal by Iranian women’s right activist Masih Alinejad who urged European female politicians “to stand for their own dignity” and to refuse to kowtow to the compulsory and discriminatory Hijab law while visiting Iran. Alinrejad created a Facebook page for Iranian women to show pictures of their uncovered hair as an act of resistance, a page which now numbers 1 million followers. Trade Minister Linde, who signed multiple agreements with Iranian ministers while wearing a veil, “sees no conflict” between her government’s human rights policy and signing trade deals with an oppressive dictatorship that tortures prisoners, persecutes gays, and is a leading executioner of minors. If Sweden really cares about human rights, they should not be empowering a regime that brutalizes its own citizens while carrying out genocide in Syria; and if they care about women’s rights, then the female—and male—ministers never should never have gone to misogynistic Iran in the first place. By contrast, U.S. women’s chess champion Nazi Paikidze refused to play in this week’s women’s world championship, because it is being held in Iran. “By participating, I would be forced to submit to forms of oppression designed specifically for women,” says the Las Vegas-based Paikidze, 23.